1946. Mercury Music Corporation, New York, N.Y.
4to, 4 pp. Bifolium. In light-grey printed wraps with design by Lieberman printed in dark-grey and pink (price on front amended with stamp). Score on central two pages. 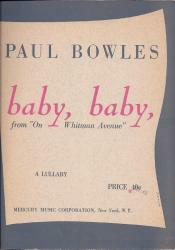 Last page carries an advertisement for another of Bowles's piano pieces, and a short biographical notice, headed 'ABOUT THE COMPOSER' ('[...] He is best known as composer of music for the theatre. 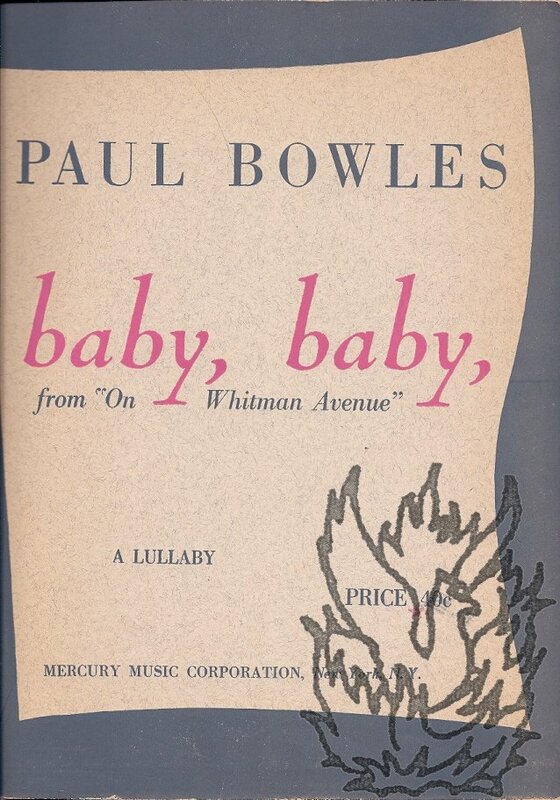 In this medium he has written incidental scores for the two Orson Welles productions: [...] Mr. Bowles has also done several film scores, and the music for two ballets commissioned by the American Ballet Caravan: [...]').